I must say this week was jam packed with fun! So hold on tight, because it's time for a picturepalooza! This week we did a million things with the book The Wolf's Chicken Stew. 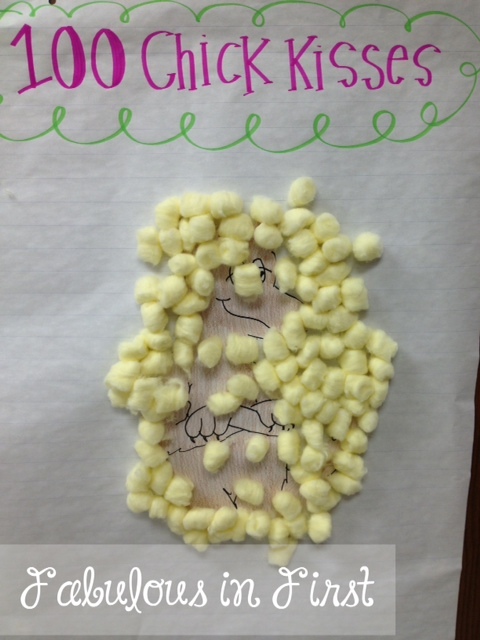 My 100th Day unit is based on the book and it's perfect for the 100th Day. Here are a few pictures I took. In this book the character changes. 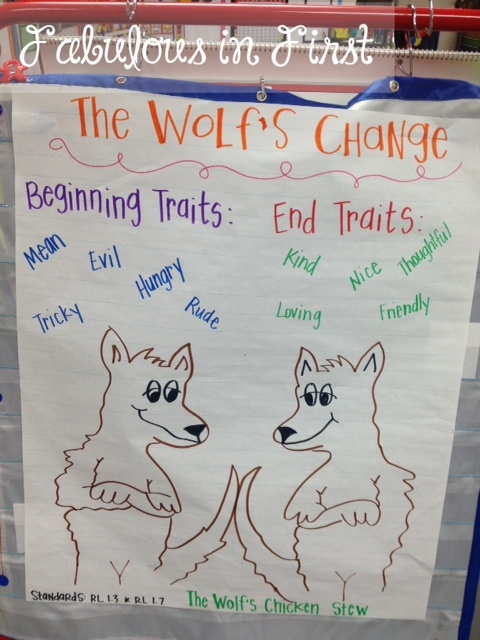 We discussed how the wolf changed and what event in the story caused him to change. We also searched for 100 chicks and then gave the wolf 100 chick kisses. We tallied each 10 until we knew we had 100. We also wrote an opinion piece on if we'd like to have 100 brothers or sisters. The consensus was NO WAY! We started our day by making 10's hats. My kiddos had to find 10 ways to make 10 by coloring in the strip. Then they colored the front and looked adorable. I made the front of the hat and the strips came from Kim Adsit's unit. We also made these adorable cookies! 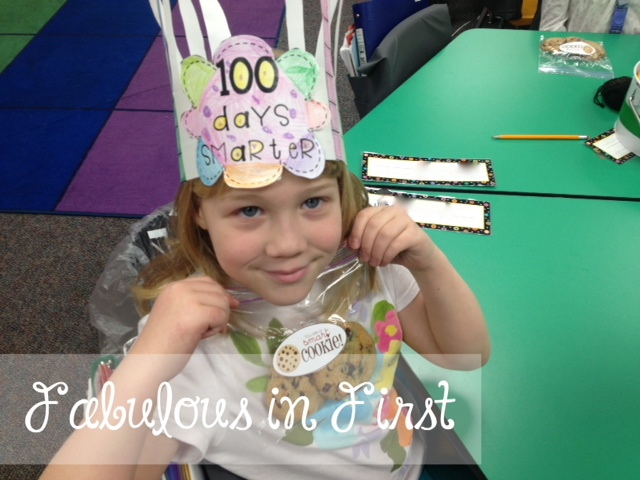 My super creative friend Cara has them in her 100th Day unit. 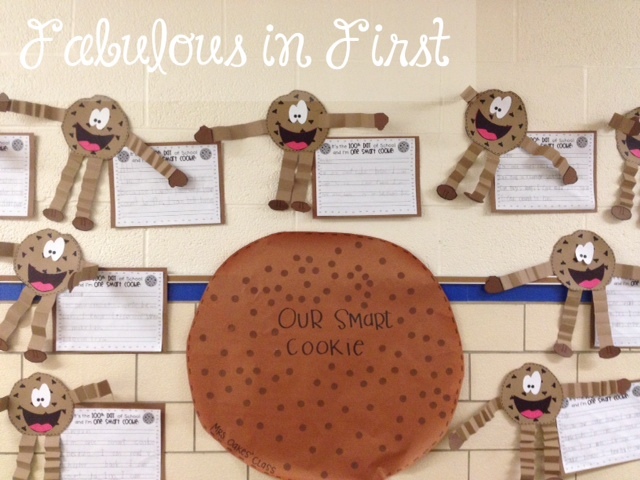 I made a little writing paper and we added our cookie with 100 chips. They are just too precious! We played a "Race to 100". 100 Day Old portraits courtesy of Deanna Jump. 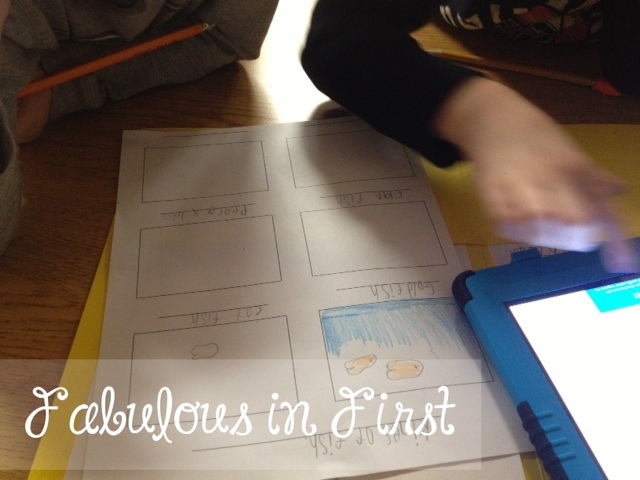 In addition to the 100th Day fun, we are also working on Research and "All About" books. 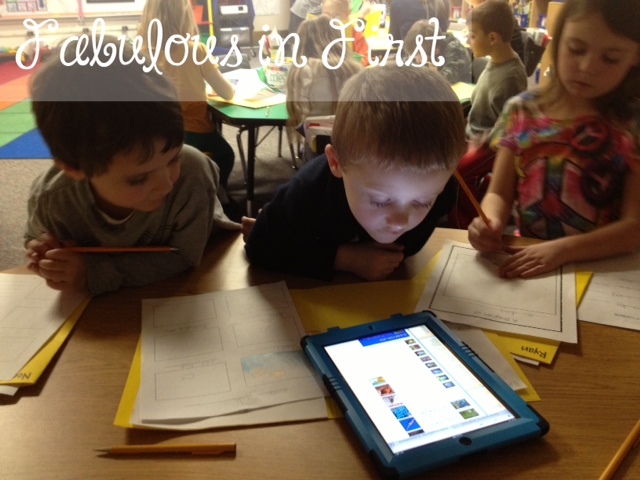 Here are a few of my kiddos really into researching fish! Gotta love the portability of the good old iPad. Now it's time to actually do something around this house. 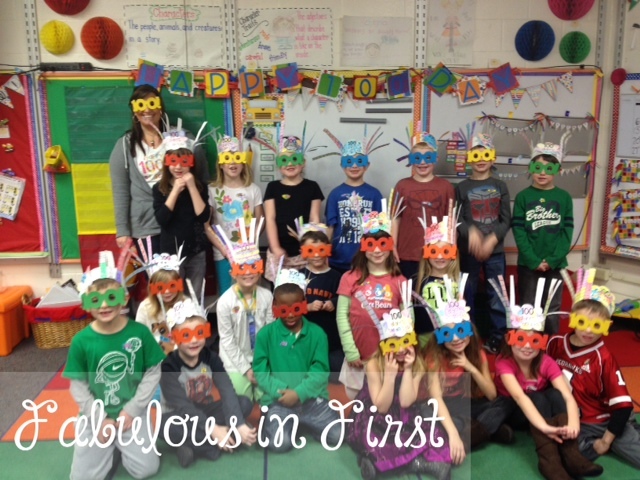 I bet your kiddos had SO much fun! I love it all! What a fun day!!! Thanks for the tip on kidfriendlysearch.com! Michelle, I LOVE the clipboards that hold the littles' work!! Thanks for sharing some great ideas!!! Gosh, I hadn't seen the 100 chocolate chip cookie activity. Thanks for sharing! Would you be willing to share your writing paper for the Cookie Craftivity? Thanks.